If you are constantly thinking about starting an exercise and weight management program but just can’t seem to get there. Have you asked yourself why that is? Realistically, not just the usual “I just can’t”. Sometimes you are stuck in the pre-contemplation phase far too long that it just becomes far too hard to actually start. I feel embarrassed about starting to exercise in front of others and I won’t be able to keep up. I’ve put on so much weight, where do I start again? I’m just so tired, when can I even fit in time to look after myself. I know what I need to do, I just need to start, but I don’t know how to start with all of my commitments. I can’t mentally deal with exercise, or anything right now, but I know it would make me feel better if I did do something. With my physical condition, I won’t be able to do any exercise anyway, it’ll be too hard. I can’t buy healthy foods because they are too expensive. Find some exercises on YouTube for free that you can do in your jimmy jams at a time that suits you, no-one needs to see you at all, until you are comfortable to work out around other people. If you’ve put on a lot of weight, but you can’t seem to reduce your intake, start your own food diary, write down everything, I’d suggest getting a book with an inspirational quote on the front (try Typo, they have loads of these) and a glitzy pen (yes the old fashioned way) and just write in it at the end of the day. And write everything. This is a great way to actually understand what it is that you’ve taken in for the day, by writing it down and focusing on writing it down means you aren’t distracted by a phone, an app, or text messages, and social media. You’ll be surprised at how by actually looking at that list and thinking, did I really consume all of that food today, focuses you into reducing your food intake. Don’t count the calories just write down the food and drinks in a list, line by line. Also write down how you felt afterwards, try to introduce some mindfulness around your eating and identifying links to any food sensitivities. Once you start to do this consistently, you will be in a better and more focussed mindset to try to look after your diet, then introduce some exercise. Just consistent walking at the very beginning. Being tired is something that is a constant issue with day to day pressures. Try to decrease your sugar intake and caffeine slowly, increase your water intake and always have a bottle handy. Eating citrus can perk you up too, taking in some fresh air and regular breaks at work can help, but the main thing is to try to remind yourself that you are tired only until you start to move your body, as soon as you start to do a little bit of exercise, that tired feeling dissipates and you can muster up some energy with the blood flow increasing around your muscles. Even if its a minimal 15 – 30 minute workout, you’ll feel less tired. Do this consistently, and you’ll feel more perky by the day! Having commitments every day is everyone’s issue. But you must prioritise what’s important. A 3o minute workout is more beneficial in the long run. You will feel more focussed, more productive, get things done quicker, have a clearer mind, feel stronger and less stressed. 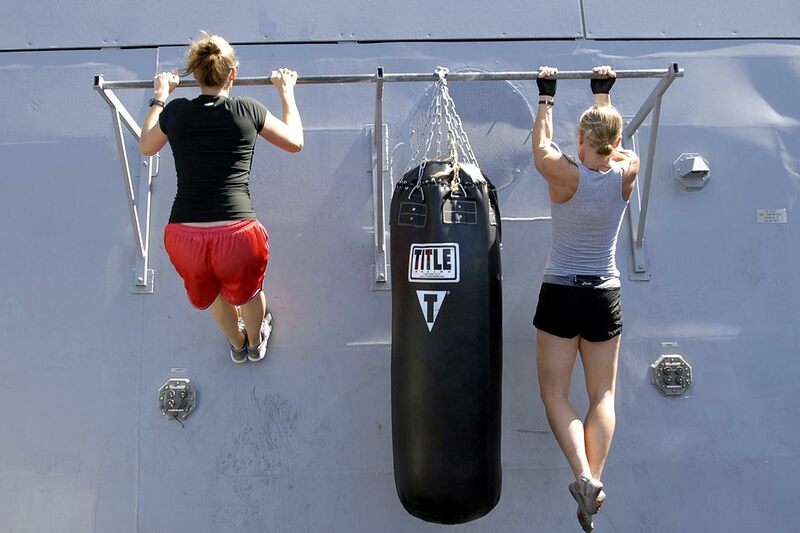 Remember that exercise will reduce stress overall, so the benefits outweigh doing your other task for 30 minutes. Even if that 30 minutes is a gentle stretch session late in the evening, it’s still more beneficial than not. Do you sit down and watch TV for 30 mins? Replace that 30 mins with some exercise. If it’s mentally challenging then I’d suggest talking to family and friends and asking them if they’d meet you for a beach walk so that you have an actual commitment to someone is a good start. Start slowly, start small, try little 10 minute bursts of exercise just so you can start something, see how it makes you feel and build up from there. You need to have support, so reach out. If you have a physical ailment stopping you from exercising, check in with your health professionals and ask them what types of exercise is beneficial for you. Then seek it out, make an appointment to go, and go, even when you want to cancel, still go. See how you like it and how it feels, you’ll probably really like how it makes you feel. Buying healthy foods is not as expensive as you might think. Buy produce that is in season as it’s often cheaper, and seek out recipes on the internet, just google the ingredients that you have and I’m sure you will find a recipe. Try to buy healthy foods in bulk, you don’t need fancy ingredients just wholesome real foods that have not been processed and packaged. Do buy the leanest and highest quality meats, fish and poultry that you can find, and buy in bulk, freeze the portions. I have to be honest, I don’t like to prepare too many meals in advance and freeze them, I like to cook fresh and have leftovers for lunch the next day, then cook again. But you can do meal prep if you like. I’m a personal trainer and nutritional coach so of course I recommend that everyone has a coach, once per week, just to keep you on track. 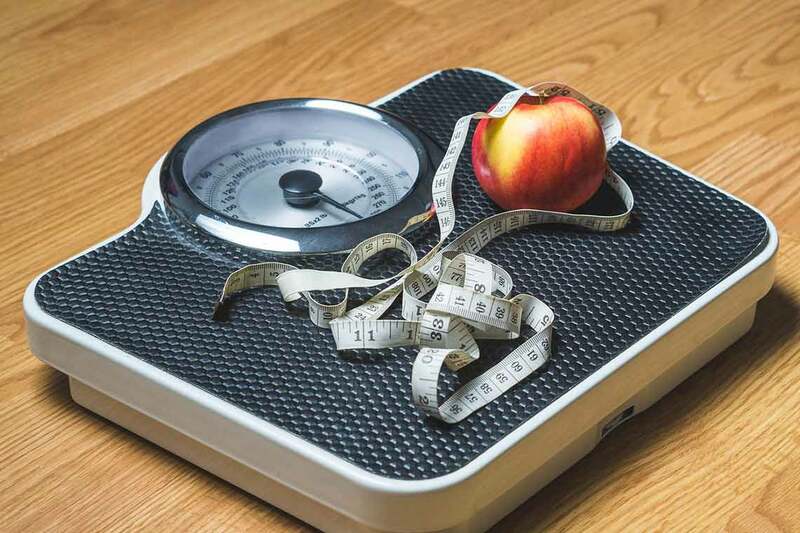 There are many studies where groups have started a weight loss program including fitness that succeeded more long term with the help of seeing coaches regularly. If you are accountable to someone in person, even once a week, you are more likely to keep on track, rather than being accountable to an app or an online program. Whether that is a gym program, personal training program, weight loss program or general coaching, it’s a great way to keep yourself healthy and manage your weight long term. Call me if you need any help, I do have FaceTime Coaching available which is convenient and cost effective, or good old fashioned personal training! Are you just soooo over your belly fat? Yes, read on.. So, unfortunately as we age, our metabolism starts to slow down, our muscle mass loss is quicker and we lose our waists. For women, our waistlines thicken and lose our shape and for the boys, that cuddly beer belly starts to shine through. Can we do something about this. Yes of course, but again, as we age, our exercise and activity needs change. It’s not all about diet, there’s a lot of activity that needs to take place. We can’t just diet and think that’s going to fix it. Yes it will to a degree, but for the plus 35s (yes sorry it does start then! unless you are genetically blessed, and we all know at least one of those friends! ), you need to work at it and change some habits. 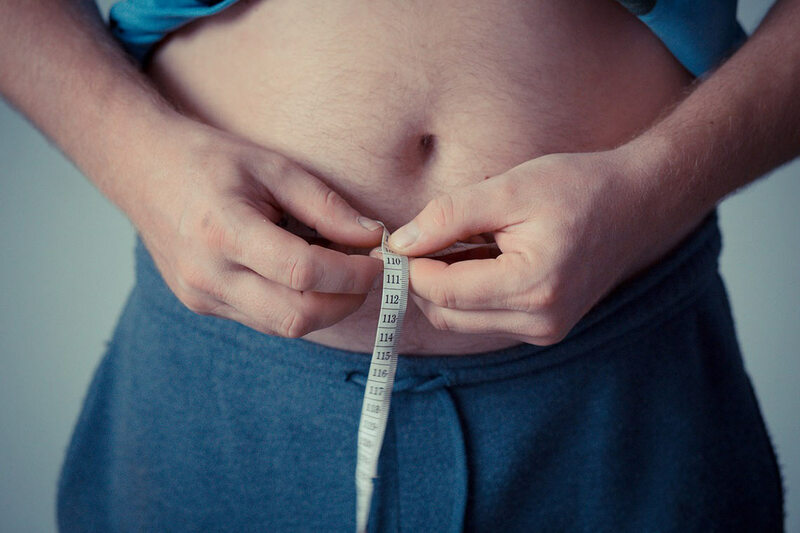 What causes the pesky belly fat to hang around? Well stress (cortisol hangs onto the fat) it’s a serious cause of belly fat resistance so we need to reduce that, eating too much for our activity level (if you are sitting down all day, you don’t need to eat so much), lack of sleep or interrupted sleep try to get some good shut eye which could mean changing a few evening rituals, lack of activity, too much alcohol, too many lattes and overindulging in the dairy altogether, eating processed or packaged foods or another serious cause is, “I just can’t be bothered syndrome” which collectively is, I can’t, I don’t feel like it, its too dark, I have a sore toe, I’m too tired and I don’t have time. All of which takes a bit of time to actually change in our mind to allow us to exercise. Unfortunately we aren’t all made the same way so not all workouts and advice suits everyone, if you can adhere to a book or an app, then great, but if you can’t you need some motivation, like a Personal Trainer at least once a week to knock on your door and get you moving for at least 30 mins, will keep you on track. This way you can at least receive a more personalised program tailored to you. You need to combine muscle growth with cardiovascular exercise to get the best results. Constant moderate exercise and doing the same thing day in and out will not help entirely. So you need to mix it up. At least once a day, at lunchtime if you work in an office, in the morning before work or after work, you need to have a moderate walk for 15-20 mins. Office workers, make sure you get up out of your chair once every 30 mins and have a walk around. Try to not have more than one milk based coffee in one day, if you do make it medium at most and try to stick to tea and water mostly. Add a lemon or a strawberry, or even cucumber is nice in your water bottle if you fancy something a bit more interesting. Try to control stressful periods with taking yourself out of the stressful situation and into something different for at least 10 minutes when you are feeling overwhelmed. Put some thought into what you are grabbing for lunch if you are out ‘n’ about, more clean food protein and salad is the best option, try to stay away from chinese, mexican, roasts with gravies and chips etc, you know the drill. A salad sandwich, home made salad, or leftovers is the best option. If you have to eat out, try Japanese, a salad bar (just avoid too much processed meats), or the roast with the veggies and no chips and gravy. There are plenty of more healthy option cafes around these days so choose one of those if you can. 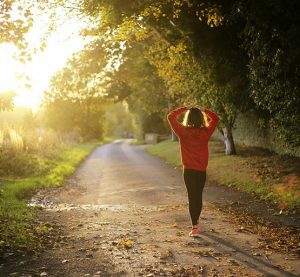 Your workouts need to be frequent and different, if you can’t sign up to a class/gym or a personal trainer, try adding a bit of a jog to your walk, walk for 2 mins, jog for 30 seconds, walk for 1 min, jog for 1 min, then run up a hill, then back to walking. The body fat responds to the random activities well and the change of intensities. Building muscle is soooooo very important to add into your days. Fairly easy to do, there are plenty of resources but try some basics first that don’t need any equipment: squats, lunges, push ups, crunches, tricep dips, burpees, etc. Contact me for a free basics program. I’m a massive advocate for exercising outdoors because it just makes you feel so much better all round, so here are some more things you can do… Get on your bike and ride, go outside for a beach walk, most beaches have stairs or at least some dunes to run up and down, the sand changes the intensity and builds great leg muscles, the local parks have equipment and benches use them to step up on, push ups and tricep dips, go for a hike on the weekend, or more adventurous, try actual hill climbing or join a group to take you out rock climbing. But seriously, even if you are just sick of the fat for vanities sake and want a hot bod, you really need to consider making some changes if you have belly fat. This visceral fat is dangerous to your health, its stored around your abdominal wall and organs and associated with increased risks of type 2 diabetes, hormonal fluctuations, heart disease, various cancers and Alzheimers disease. It’s a scary health issue not just a vanity issue especially if you are ‘mid-life’ shall we say! Addressing it as soon as you can see it is the best time to get on top of it. Then you can look super hot and be super healthy too. If you need help with this, I’m here to help you navigate making changes to your lifestyle, even if it’s just a couple of visits to get you on track or a check-in once a week to get you moving. I have been personal trainer and nutrition coach since 2007 and I love to help people make the changes needed to be not just body healthy but emotionally happy too, they generally go hand in hand. So wherever you are, if you are reading this and just don’t know where to start, contact me for a chat to see what we can put in place for you! You can also follow me on instagram @create_health_fitness. Looking for a healthy dinner to have that’s a bit different?! Look no further than Lemon Fish parcels with honey and mustard veggie rice! I’ve added nuts and seeds to this recipe for a bit of added crunch and healthy fats. You can also use sultanas or any other dried fruit because you do have the sweetness of honey. 1 x pack of brown rice (sunrice or similar), pre-cooked, 250g. Olive oil, 2 teaspoons of seeded mustard, honey if you like it enough to taste, tamari. 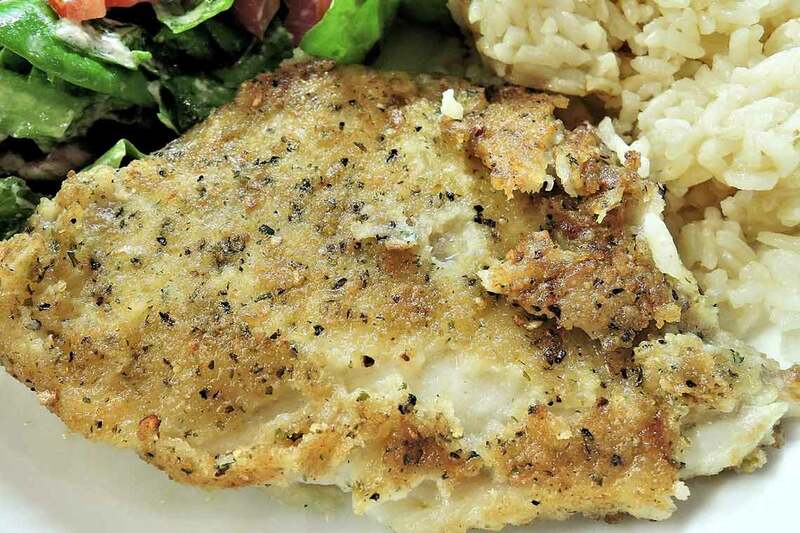 2 small sized white fish fillets, snapper or the like. 1 whole fresh lemon, rice bran spread, sprinkle of parmesan cheese. If you like eggs, for extra protein you can add a pan fried egg. Clean the fish, put 2 teaspoons of rice bran spread on the top and squeeze all the juice out of your lemon on each piece of fish, sprinkle on some basil and chilli. Put about a teaspoon of cheese on the top. Take the baking paper and wrap up the parcel. Put this into a moderate oven for 25 mins (time may vary). My oven was on at 220. Make sure to put only one piece of fish into each piece of baking paper! While this is cooking, stirfry your veggies of choice, add in your mustard, honey, tamari and olive oil until almost cooked, add in your rice with a little bit more olive oil. Then you are done! It’s a simple quick and easy recipe! Are you fed up with dieting, wearing clothes that really don’t fit and feeling self-conscious about your weight? If you are finding it hard to stick to any weight loss programme yourself without help and are getting disheartened then this could be your answer. Our 12-week “Fully-Fit” monitoring and educational workshop with 12 free group personal training sessions!!! What does the 12-week workshop consist of? Weekly group meetings for 45-60 minutes. Group meetings can help you to feel more accountable and push you to achieve your goal. We present and discuss different topics each week. • Oh no… I slipped up! Having access to a weight loss specialist each week helps to keep you on track, you are not alone! It is a relatively low-cost and low-time commitment programme. Joining a group of supportive people who are all trying to achieve the same goals can help to motivate you. Being in a non-intimidating environment, feeling supported and knowing you can discuss any issues week to week that may come up, everyone else are likely having the same difficulties. Having access to your own private online calorie controlled meal planner, reporting software and weight loss tools means you can check on your own progress whenever you like whilst planning out your meals, printing off menus and producing shopping lists. We will upload your results each week. Having to commit to a programme, being weighed and measured each week and having your diary checked is good motivation to keep going, not being left to your own devices! It’s only $70 per week to join for 12 weeks ($840) or if you pay upfront receive a discount of $40. So book in now and lets all get Fully-Fit!!!! To book, please send us the booking form. Enrollments for our next workshop close on Monday, 7 February for a Tuesday 8 February start. Location Perth city. Group training at a location of your choice, group workshop each Tuesday at 6.30pm. Comparing your peanuts to your pecans! 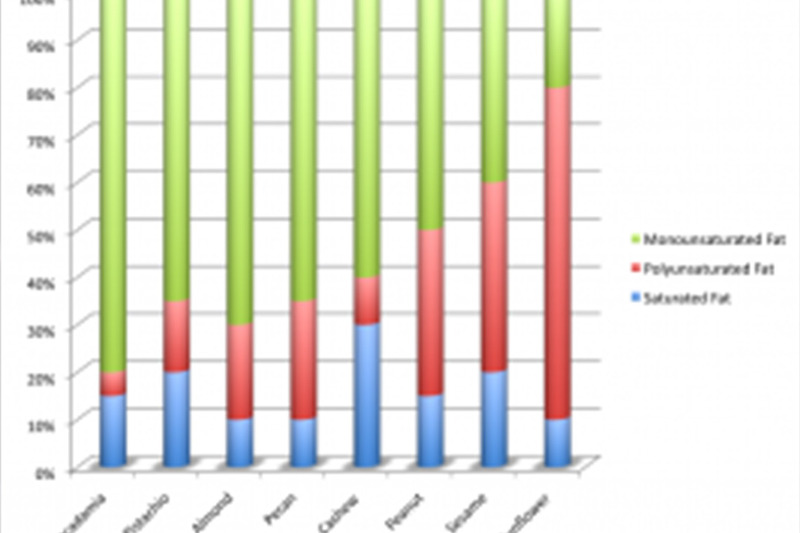 When comparing what type of nuts you might want to snack on, take a look at this chart. Well I think we all know that avoiding as much saturated fat as we can is a good thing as it is found to raise blood cholesterol levels and increase the risk of cardiovascular disease. Try to avoid these and have only moderation. Monounsaturated fats are particularly helpful in lower LDL cholesterol and helping to prevent cardiovascular disease. Polyunsaturated fats are needed for growth, cell structure and for maintaining a healthy immune system. Almonds are not only low in saturated fat but have a higher protein content so add about 10 almonds into your mid morning or afternoon snack to stave off the hunger demons. Sunflower seeds are another great nutritional snack, very low in saturated fats. For a good mid-morning snack, put 1/2 cup of some WA made yoghurt (only WA made please!) and mix in 1/2 a chopped apple, about 5-10 almonds, some walnuts or pecans and as many sunflower seeds as you like to make a crunchy, hunger busting snack! Try this workout over easter when your personal trainer is taking a break or when you can’t get to the gym! 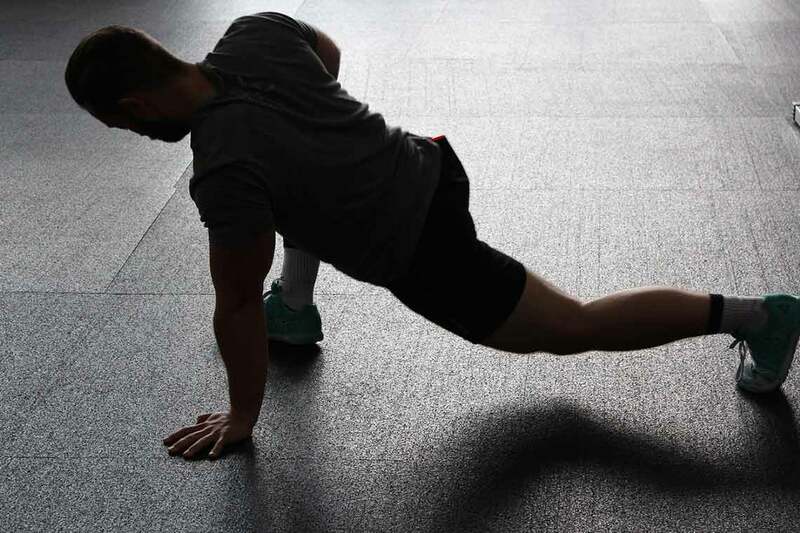 This home workout should take you between 30-45 mins and should get your heart pumping. 4. Cool down by doing step ups x 50 but slowly, not running. 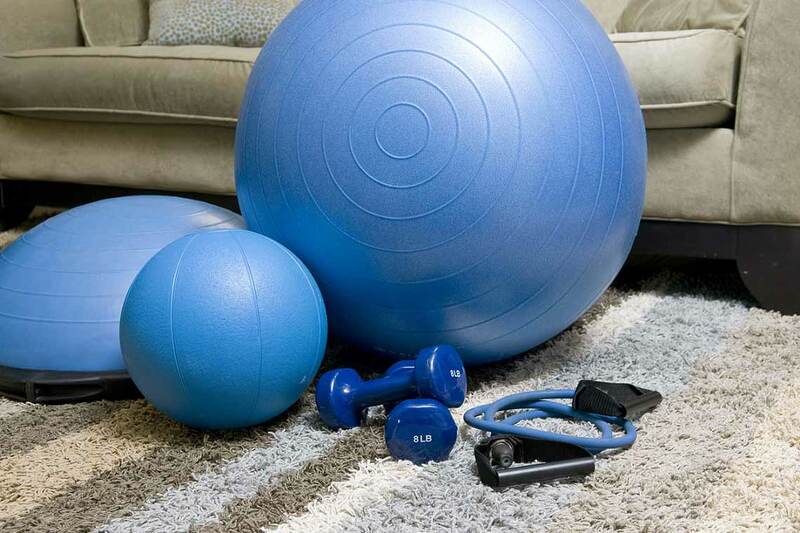 Exercise should be part of your daily routine, so make it achievable. If you can’t workout for an hour that’s ok, try breaking up your fitness routine with an after work jog, walk with the family, try an aerobics or Zumba class, swimming or enlist a personal trainer to help you. Even a personal trainer once per week to keep you on track is better than none at all. Angie Hazell is an experienced Perth personal trainer specialising in Women’s Fitness, Outdoor Personal Training and Family Fitness, servicing the perth metro area and surrounding suburbs including Mt Lawley, Mt Hawthorn, North Perth, Joondann, North Beach, City Beach, Subiaco, WA. Contact Us now for your FREE TRY OUT SESSION! Isagenix Health & Fitness Plan Week 1! 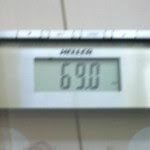 I’ve lost 3kg in 5 Days! OK so I am a personal trainer, but even personal trainers can gain a little weight right? Yes that’s me, i’m normal, I do eat nutritious food and am vegetarian but my work hours, late nights and stress have all contributed to this weight gain, lack of sleep and general feeling of being unwell all while trying to keep up and provide a good service to my clients. Quick action is needed now or I won’t be able to continue cope with my Personal Training, running the business, my legal office work, my study load and my poor family does suffer I have to say, and perhaps others too! Does this sound familiar to anyone?! oh and I’m getting older. YEY! So Isagenix is about top quality nutrition, stress management and anti-ageing, brilliant, exactly what I need. Well it’s week 1 of my Isagenix programme and I have to say I am really surprised. I am notoriously sceptical of these programmes but I really am pleasantly surprised. 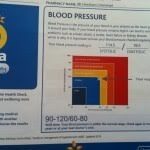 The first thing that I noticed was fluid loss, the second thing which has really, really made a huge difference this week is sleep, and quality of sleep. It is AMAZING. I get up at 5am every morning and I don’t finish work until 8.30pm at least 3 nights per week. I have to say, I’m tired, usually, BUT this week I can’t believe how much better I feel. I actually feel awake and well, better than I have felt in ages. My skin is better, and my eyes are clearer, already, in one week! The rest I can show you in pictures. 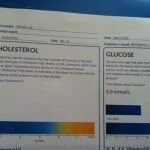 I started on Tuesday with a health check at Chemmart in Mt Hawthorn, they were awesomely nice there, I generally do measurements and BMI for my own clients but they also do cholesterol and glucose tests right there, which I can’t do, which is so it’s so easy! I don’t get any kickbacks from Chemart by the way. But it’s a great initiative. Had I done my own checks I may have just tried to deny my weight and BMI! See the photos for my starting results. 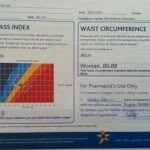 Apart from having already low cholesterol and on the money BP due to my own exercise and diet programme, my BMI was obviously not good, scary and my waist, definitely not where I usually am. Horrified actually for a trainer to have this waist measurement. I’ve obviously been in denial! Now see my results, bear in mind I started my programme on Tuesday! – and then a nutritious and portion controlled dinner. Not too hard is it? Amazed actually, I’m beginning to think that this programme is really amazingly good! The science behind these products has come from years and years of testing, with nobel prize winning scientists, they are obviously doing something right! 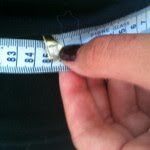 I have already come down 1.5 cms from my waist, lost 3kg since Tuesday and I measured this on Friday morning. You can see the evidence from the pictures. I’ve also been on crutches all week due to an ankle injury but hopping around on those is incidental exercise at its best! I think the bit that I’m most excited about is that I have more energy and I can sleep. Sleep really does retain weight and fluid around your middle. I’m off to hit the books again, as I have an assessment due for my Advanced Coaching, I’m hoping for an equally great post for next week! If you are on any medication or have health conditions it’s best to get your doctor’s approval first before embarking on any change of lifestyle. If you want more info on this system please see www.isagenix.com or feel free to ask me any questions. As a Nutrition Student, I don’t usually recommend anything other than fresh, real food and exercise, but having witnessed the life changing benefits first hand of a number of people, I would recommend these products to anyone. Better sleep, increased immune function, weightloss, lower blood pressure, lower diabetes risk, improved skin appearance and much, much more energy. These are just some of the benefits of the programme when followed correctly. Of course, I couldn’t recommend any programme without exercise so with a minimum of a 30 minute brisk walk per day, it really is a programme that anyone can follow. For added exercise, join one of our group training sessions, see our group timetable for sessions or personal training is another available option. Isagenix products are extremely well researched, are produced from natural ingredients and most are gluten and lactose free. Real results, I use these products everyday to be able to keep up with my 15 hour work and study days! Fitness, Building Muscle & Weightloss! So after the holidays we all feel like our fitness has decreased and could do with a bit of weightloss. If you are prepared to put in the effort, you will get the rewards! How? Well all the basics but with a few extras. 1) Get yourself an empty journal and a basic heart rate monitor, you can get the basic ones relatively cheaply now from a Rebel Sports Store or somewhere similar. This is going to be really useful. 2) Measure your resting heart rate, time how many heart beats you have in 30 seconds then double it to get your resting heart rate. This is going to be useful in tracking your fitness progression. 3) Take your age away from 220 to get a rough idea of your maximum heart rate. You want to be working consistently at 50-60% of your maximum heart rate to achieve a result, anything higher and you enter an anaerobic zone and at this point you don’t want to be there. Not at the start. 4) So start by walking and monitoring your HR via your monitor or by taking your HR after you have been walking for at least 10 minutes to make sure you are in the correct zone. Continue your walk for a minimum of 45 minutes. Preferably you will do your walk after dinner in the evening or both in the early morning and evening. Make sure you are safe if you are walking after dark. NOTE: if you increase your HR too quickly and go too hard too fast, you risk your changes of injury, fatigue and lactic acid build up which isn’t pleasant. 5) You also want to work on building muscle mass, so assuming you have a few weights at home try concentrating on the eccentric phase of your exercise, this means the part of the exercise that lengthens the muscle i.e. the lowering part of a bicep curl, so slow it right down, focus on the downward part of a step up, walking downstairs or a squat/lunge. The eccentric phase has shown to be more efficient in building muscle. NOTE: remember that you also need to take in adequate proteins for building muscle but don’t get crazy and only eat protein, add in a protein shake every second day. 6) Weightloss, the fitter you are, the more energy burning units you have in your cells, the more efficient your body is at using the energy you are putting into it. Essentially, feed your body only what it requires and with balanced nutrition. See my Face Book Page for the latest nutritional chart. Follow the basic rules and you will be surprised with adding in more activity you will get a result. 7) Make sure you increase your workouts and walks by 5-10% each week, so work out your plans and stick to them. 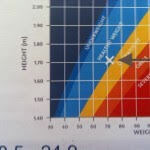 Take note of your resting HR in your journal so you can see your progress, after a week start adding in some intervals. For interval training your HR should be up to 80% of your HR Max. So changing the intensity at regular or irregular intervals, run/walk, add in some lunges and squats, step ups and push ups at different parks around your walks. 8) Adequate rest, do make sure you have adequate rest days, at the beginning 3 days, then 2 days and at a minimum 1 day. Your body does need rest or it is detrimental to your efforts and can cause you to have exhaustion and a decline in your fitness programme. Take your resting HR again in a few weeks time to see how you have improved! For more information on planning an exercise programme, please feel free to ask! Contact Angie at Create Health and Fitness, personal trainer Perth, Mt Hawthorn, Mt Lawley, Joondanna, Subiaco, North Perth, North Beach and surrounding suburbs.